In State v. Valadez, Milwaukee police executed a no-knock search warrant for firearms and drugs at a home where two adult brothers and several other family members lived. The search warrant was apparently issued based in part on the information obtained from a confidential informant. When the search was executed, both brothers had outstanding arrest warrants. When police arrived, they arrested one brother as he was leaving the home. After that, law enforcement officers utilized a battering ram to gain access to the residence. Once inside, police found the other brother and his four-year-old son. The father was apparently placed in handcuffs for about 10 minutes until the home was cleared for safety. Next, police removed the handcuffs and read the search warrant to the man. While police conducted the search, an officer sat with the father at a table and made small talk. During this conversation, the officer asked the father which bedroom belonged to him, and the man responded that it was the southwest room. Despite this, the officer later testified that the father was not under arrest at the time. During the search, law enforcement officials uncovered more than six grams of cocaine, several hundred dollars in cash, the father’s state issued photo ID, energy bills, and photographs in the bedroom the man indicated was his. The father was then arrested and taken to a local police department for questioning. After being read his Miranda rights, the man denied any knowledge regarding the cocaine. He was then charged with possession of the drug with intent to sell it. At trial, the court refused to require the State of Wisconsin to disclose the identity of its confidential informant because the information would not help the man’s case. The court also denied the defendant’s motion to suppress the statements he made prior to being formally read his Miranda rights. According to the trial court, the defendant was not in custody at the time he made small talk with the officer. In addition, the drugs were not yet uncovered. Following a trial, the defendant was found guilty and sentenced to three years in prison followed by two years of extended supervision. At sentencing, the judge stated probation was inappropriate and expressed his concerns that the defendant failed to accept responsibility for his crime. On appeal to the Court of Appeals of Wisconsin, District I, the convicted man argued the trial court committed error when it denied his motion to suppress the statements he made before being read his Miranda rights, when it refused to disclose the identity of the confidential informant, and when it imposed a harsher sentence because he chose to proceed with a trial rather than agree to a plea deal. 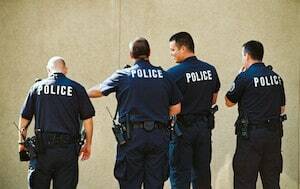 The Court of Appeals first stated the trial court properly denied the defendant’s motion to suppress the statements he made before being read his Miranda rights because a reasonable person would not believe he or she was under arrest while sitting at a table making small talk with a police officer. Next, the appellate court ruled that the trial court properly applied the law when it denied the man’s request to disclose the confidential informant’s identity because doing so would not help him prove his innocence. Finally, the court dismissed the defendant’s claim that he was punished at sentencing for exercising his constitutional right to a trial. After examining the record, the appeals court stated the lower court properly considered each required factor in determining the man’s sentence. Since the trial court did not commit error in denying the convicted man’s motions or during sentencing, the Court of Appeals of Wisconsin, District I affirmed the judgment in the case. If you were charged with drug distribution or another drug crime in Milwaukee, you should discuss your rights with a seasoned criminal attorney as soon as possible. To speak with a knowledgeable Wisconsin criminal lawyer today, do not hesitate to contact the law offices of Reddin & Singer, LLP online or give us a call at (414) 271-6400.